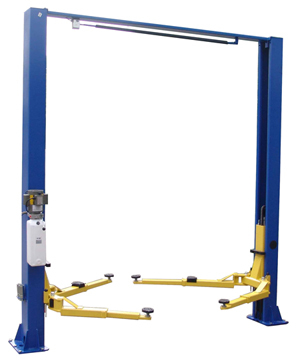 Finding the best car lift to meet the needs of your mechanic shop is a tough task. That’s why we are proud to offer our selection of Auto Lift 2 post lifts. These are known for incredible lifting capacity, reliable performance, and full of innovative features. You can find an affordable option right here in our fantastic selection. 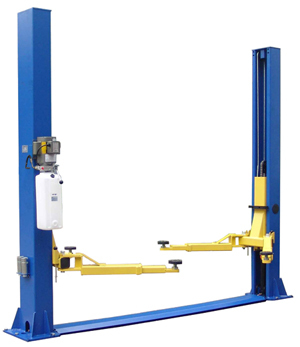 We have a variety of Auto Lift 2 post lifts that are available in many symmetric designs and have various lifting capacities that range from 7,000 to 15,000 pounds, and every choice is known for being reliable, and very functional in any shop. We have symmetric and asymmetric choice to successfully meet the needs of your work. Asymmetric car lifts move back the center of gravity of the vehicle and allow the door to swing open behind the lift column, which minimizes door damage. 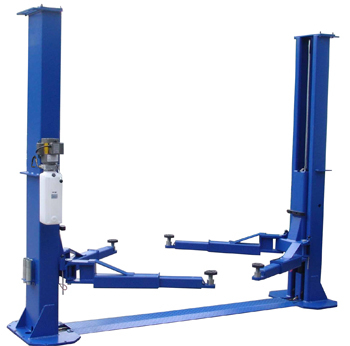 Symmetric car lifts evenly distribute the center of gravity between the lift columns. This helps when working on trucks, vans, and larger vehicles which may have uneven weight distribution. No matter which style your shop prefers, we have options to meet your needs. Each choice comes with unique features that make them stand out from the competition. Whether that’s our four cradle adapters, low profile arm restraints, or free mounting hardware, the lifts have everything you need to position the car just the way you need. Protecting yourself and the vehicle you’re working on is also important, and our lifts will certainly do that. 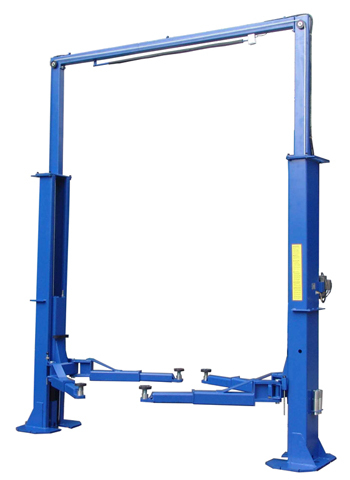 Depending on what type of work the car needs, you may need a versatile lift to get it in many different positions. Our Auto Lift 2 post lifts are known for being easy to use, and safe to position anywhere you need. 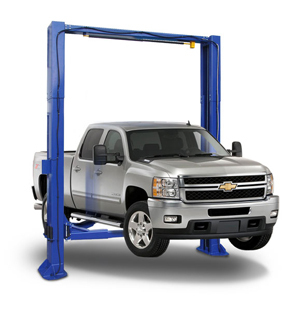 Whether your shop needs a lift for heavy duty trucks, or even smaller cars, both styles of Auto Lift 2 post lifts are known for being reliable and affordable. Our heavy duty models include low friction chain rollers, and a base plate for extra stability. Our lifts have been engineered to safely hold it in place while you perform any necessary work. If you’re looking for a specific feature like front arms or an automatic electric override, we encourage you to evaluate every option. Each choice has unique features that make it different from any other. We are sure we can help you find one to meet your needs. Give us a call today!